Hiking near the NY section of the Appalachian Trail, I couldn’t help but notice the odd consistency of the ground. Each footfall yielded a small crunch as my boots sunk a half inch into the ground. 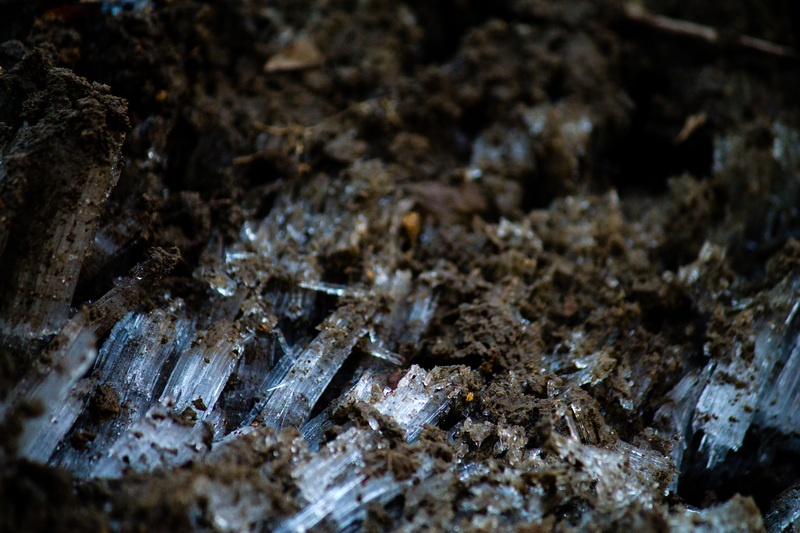 Kneeling down for a better look revealed this incredible micro-landscape of icy palisades.